Is my app highly available? Can I rapidly scale my app when needed? Why do we care about infrastructure? Microservices are a rising trend when it comes to modern application architecture. They bring flexibility in development and scaling and allow fast deployment cycles. However, having a multi-component architecture comes with a cost: Each of its components has to fulfill the requirements of scalability and high-availability. This implies that an application developer has to ensure that these requirements are met for the complete infrastructure, including load balancers, message queue clusters and database clusters. As an application developer you would probably rather spend your time on the actual application development than on the surrounding infrastructure. That is why application developers love Cloud Foundry. Cloud Foundry takes care of and supports in many DevOps tasks. Cloud Foundry builds on a container-based architecture. It builds, distributes and scales containers for us. Cloud Foundry takes care of routing for us. 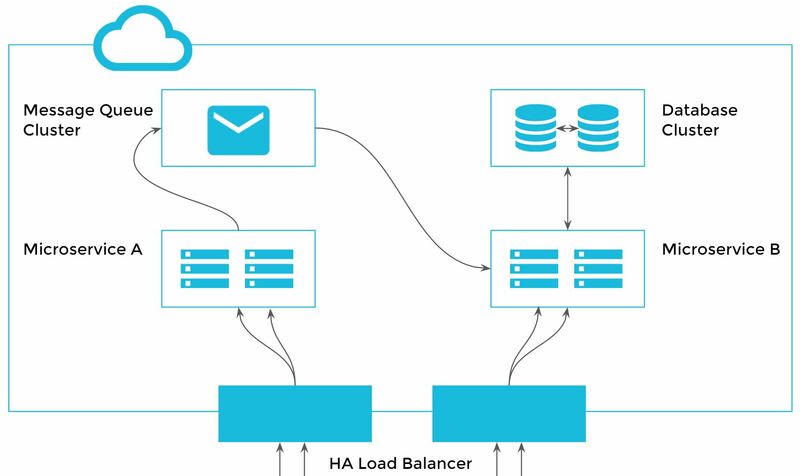 It provides HA load balancers that route the traffic to the application instances. Cloud Foundry collects logs and metrics on its container status to inform and alarm us in case of problems or failure and automatically restarts failed instances for us. Cloud Foundry keeps configuration settings in environment variables. This enables us to build identical test and production environments that only differ in environment variables. Furthermore, we can deploy our own docker containers on Cloud Foundry. whithin minutes. Cloud Foundry provides its services redundant and highly available. command, we are able to scale our application at all times. The Meshcloud platform offers multi-location Cloud Foundry with multiple services. Meshcloud is a european open-source public cloud platform. Apart from Cloud Foundry the Meshstack provides OpenStack as an IaaS solution. The Meshcloud user interface enables cloud users to use and administrate IaaS and PaaS in multiple locations but on a single platflorm. Find out more about the Meshcloud Cloud Foundry offer here. Register now for a free trial month to use Meshcloud’s Cloud Foundry.